The expansion of Archer School is so colossal that the heavy construction vehicle traffic will be equivalent to adding almost 400,000 more passenger cars on Sunset Boulevard over a three-year period. This staggering and overwhelming number comes from Archer’s Environmental Impact Report (EIR). These documents filed by Archer with the City show construction vehicle schedule per “vehicle round trip” basis, which means that over the 36-month of the construction phase, there will be 132,860 construction vehicles going to the Archer construction site and then leaving it. Presenting vehicle round trips instead of individual trips is a political trick that makes heavy construction traffic numbers look only half as bad as showing one-way trips. In reality, 132,860 vehicle round trips are 267,720 vehicle trips added by Archer to the existing traffic on Sunset Blvd. The Transportation Research Board, in its Highway Capacity Manual, requires that the Passenger Car Equivalent (PCE) is used to analyze the actual impact on traffic of large construction vehicles accurately. The impact of heavy construction vehicles on traffic flow is primarily attributed to two important factors: physical dimensions and performance. Compared with passenger cars, heavy construction vehicles are known for their larger dimensions, inferior acceleration performance, and lower maximum speeds. For example, a five-axle concrete mixer truck (class VII) is the equivalent of 2.5 ordinary passenger cars for calculating the impact on traffic. To analyze the actual impact on traffic of Archer’s 20,770 concrete mixers trips you must use a PCE factor of 2.5, and the resulting traffic impact is equivalent to adding an additional 51,925 passengers cars over three years…and that’s just the concrete mixers. By taking all of Archer’s 265,720 construction vehicle trips and applying the appropriate PCE, you get the equivalent of 393,055 passenger cars added to the existing gridlock on Sunset Blvd. How Does this Not Make Traffic Worse? 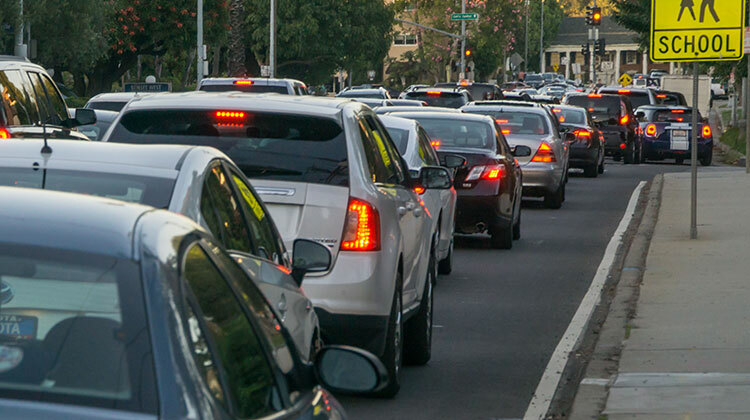 Mike Bonin and Archer would like us to believe that adding the equivalent of almost 400,000 more passenger cars to (in Bonin’s words) “one of the worst traffic chokepoints in the City” does not negatively impact traffic? Archer has hidden these numbers in appendices to the EIR – and has not amended them to reflect the newly compressed construction schedule, down to 36 months from 74 months, so we’re still trying to calculate what a peak day looks like, but when we do, we will publish it here at archerdisaster.com.